Our website can be accessed at www.hellodarlingpackages.co.za related mobi-sites and software applications (the “Website”) and is owned and operated by Hello Darling (“Hello Darling”, “we”, “us” and “our”). These Website Terms and Conditions (“Terms and Conditions”) govern the ordering, sale, delivery and return of Goods, and the use of our website. These Terms and Conditions are binding against every person that accesses or uses this Website (“you”, “your” or “user”), including without limitation each user who registers as contemplated below (“registered user”). By using the Website and by clicking on the “Register Now” button on the Website, as may be applicable, you acknowledge that you have read and agree to be bound by these Terms and Conditions. The Website enables you to shop online for gift boxes and other related products (the “Goods”). Registered users may place orders for Goods, which Hello Darling may accept or reject. Whether or not Hello Darling accepts an order depends on the availability of Goods, correctness of the information provided by you (including without limitation your personal particulars) and receipt of payment or payment authorisation by Hello Darling for the Goods. Hello Darling will indicate the acceptance of your order by delivering the Goods to you, and only at that point will an agreement of sale between you and Hello Darling or the Third Party Seller come into effect (the “Sale”). This is regardless of any communication from Hello Darling stating that your order or payment has been confirmed. Hello Darling will indicate the rejection of your order by cancelling it and, as soon as possible thereafter, refunding you for any amount already paid. Once payment has been made you may not cancel an order. You acknowledge that stock of all Goods on offer is limited and that pricing may change at any time without notice to you. In the case of Goods for sale by Hello Darling, We will take all reasonable efforts to monitor stock levels and ensure that when stock is no longer available, that offers thereof are discontinued on the Website. However, we cannot guarantee the availability of stock. When Goods are no longer available after placing an order, Hello Darling will notify you, within reasonable time of your order or replace said item with a similar product of the same value. We are committed to providing secure online payment facilities through our third party service providers. direct bank deposit or electronic funds transfer: if you pay via direct bank deposit or electronic funds transfer, payment must be made within 5 (five) days of placing your order. The order will not be finalised untill the funds have cleared. Hello Darling will not accept your order if payment has not been received. You may contact us via email at admin@hellodarlingpackages.co.za to obtain a full record of your payment. We will also send you email communications about your order and payment. Hello Darling will deliver your ordered Goods to you by physical delivery to your nominated address. Hello Darling, or its third party service provider, will deliver the Goods to you as soon as reasonably possible. We will notify you if we are unable to deliver the Goods during the Delivery Period. You may then, within 3 (three) days of receiving such notification elect whether or not to cancel your order for the Goods. If you elect to cancel your order, we will reimburse you for the purchase price. Hello Darling’s obligation to deliver a product to you is fulfilled when we deliver the product to the physical address nominated by you for delivery of the order, at which time delivery shall be deemed to have taken place. Hello Darling is not responsible for any loss or unauthorised use of a product, after it has delivered the product to the physical address nominated by you. Orders of 10 or more gift boxes need a two week processing period. Because delivery is via a courier service, we cannot give you a specific delivery time. We will send you an e-mail once your gift box has been dispatched. We will do our best to have your order dispatched and delivered on time but we cannot be held responsible should delays occur beyond our control. Hello Darling cannot be held responsible for any failed or delayed deliveries due to incorrect or missing delivery information supplied to us. We cannot be held responsible if there is no one at the delivery address to receive the delivery. We will have the gift box re delivered at an additional cost and will not be held responsible for any perished goods. We shall take all reasonable efforts to accurately reflect the description, availability, purchase price and delivery charges of Goods on the Website. However, should there be any errors of whatsoever nature on the Website (which are not due to our gross negligence), we shall not be liable for any loss, claim or expense relating to a transaction based on any error, save – in the case of any incorrect purchase price – to the extent of refunding you for any amount already paid, or otherwise as set out in the Returns Policy. Hello Darling shall not be bound by any incorrect information regarding our products displayed on any third party websites. Hello Darling may from time to time make promotional coupons or discounts (“Coupons”) available for use on the Website towards the purchase of Hello Darling Goods. Coupons can only be redeemed while they are valid and their expiry dates cannot be extended. There are two types of Coupons; a Coupon with a fixed amount of a discount, e.g. R100 off (“Fixed Coupon“), and a Coupon with a percentage discount, e.g. 10% off (“Percentage Coupon“). Coupons are issued in Hello Darling’s sole discretion and we are entitled at any time to correct, cancel or reject a Coupon for any reason (including without limitation where a Coupon has been distributed in an unauthorised manner). Users do not have a right to Coupons, and Coupons cannot be earned. Coupons are issued under specific terms and conditions regulating when and how they may be used. Coupons cannot be exchanged or refunded for cash or credit. Hello Darling is not responsible for any harm due to the loss, unauthorised use or distribution of a Coupon. Hello Darling may, in its sole discretion, change any of these Terms and Conditions at any time. It is your responsibility to regularly check these Terms and Conditions and make sure that you are satisfied with the changes. Should you not be satisfied, you must not place any further orders on, or in any other way use, the Website. When you visit the Website or send emails to us, you consent to receiving communications from us or any of our divisions or partners electronically. These terms and conditions are governed, where applicable, by the Electronics and Communications Transaction Act 25 of 2002 (“ECT” Act”). The contents of our Website, including any material, information, data, software, icons, text, graphics, lay-outs, images, sound clips, advertisements, video clips, trade names, logos, trade-marks, designs and service marks which are displayed on or incorporated in this Website (“Website Content”) are protected by law, including but not limited to copyright and trade mark law. The Website Content is the property of Hello Darling, its advertisers and/or sponsors and/or is licensed to Hello Darling. Where any of the Website Content has been licensed to Hello Darling or belongs to any third party, your rights of use will also be subject to any terms and conditions which that licensor or third party imposes from time to time and you agree to comply with such third party terms and conditions. 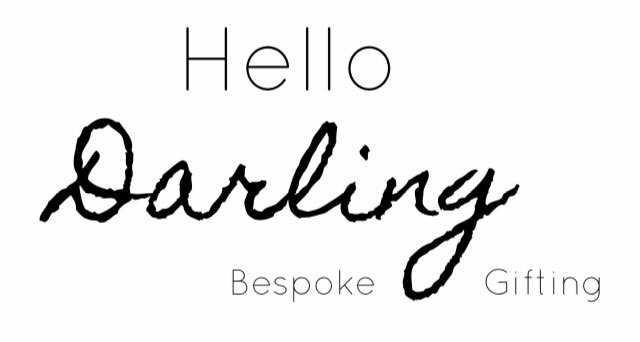 Whilst Hello Darling takes reasonable measures to ensure that the content of the Website is accurate and complete, Hello Darling makes no representations or warranties, whether express or implied, as to the quality, timeliness, operation, integrity, availability or functionality of the Website or as to the accuracy, completeness or reliability of any information on the Website. If any such representations or warranties are made by Hello Darling’s representatives, Hello Darling shall not be bound thereby. Hello Darling disclaims liability for any damage, loss or expenses, whether direct, indirect or consequential in nature, arising out of or in connection with your access to or use of the Website and/or any content therein unless otherwise provided by law. Any views or statements made or expressed on the Website are not necessarily the views of Hello Darling, its directors, employees and/or agents. In addition to the disclaimers contained elsewhere in these Terms and Conditions, Hello Darling also makes no warranty or representation, whether express or implied, that the information or files available on the Website are free of viruses, spyware, malware, trojans, destructive materials or any other data or code which is able to corrupt, destroy, compromise, disrupt, disable, harm, jeopardise or otherwise impede in any manner the operation, stability, security functionality or content of your computer system, computer network, hardware or software in any way. You accept all risk associated with the existence of such viruses, destructive materials or any other data or code which is able to corrupt, compromise, jeopardise, disrupt, disable, harm or otherwise impede in any manner the operation or content of a computer system, computer network, any handset or mobile device, or your hardware or software, save where such risks arise due to the gross negligence or wilful misconduct of Hello Darling, its employees, agents or authorised representatives. Hello Darling thus disclaims all liability for any damage, loss or liability of any nature whatsoever arising out of or in in connection with your access to or use of the Website. This Website may contain links or references to other websites (“Third Party Websites”) which are outside of our control, including those of advertisers. These Terms and Conditions do not apply to those Third Party Websites and Hello Darling is not responsible for the practices and/or privacy policies of those Third Party Websites or the “cookies” that those sites may use. Hello Darling shall not be liable for any direct, indirect, incidental, special or consequential loss or damages which might arise from your use of, or reliance upon, the website or the content contained in the website; or your inability to use the website, and/or unlawful activity on the website and/or any linked third party website. You hereby indemnify Hello Darling against any loss, claim or damage which may be suffered by yourself or any third party arising in any way from your use of this website and/or any linked third party website. Hello Darling may in its sole discretion terminate, suspend and modify this Website, with or without notice to you. You agree that Hello Darling will not be liable to you in the event that it chooses to suspend, modify or terminate this Website other than for processing any orders made by you prior to such time, to the extent possible. If you fail to comply with your obligations under these Terms and Conditions, including any incident involving payment of the price of an order for any Goods, this may (in our sole discretion with or without notice to you) lead to a suspension and/or termination of your access to the Website without any prejudice to any claims for damages or otherwise that we may have against you. At any time, you can choose to stop using the Website, with or without notice to Hello Darling. Any failure on the part of you or Hello Darling to enforce any right in terms hereof shall not constitute a waiver of that right. These Terms and Conditions contain the whole agreement between you and Hello Darling and no other warranty or undertaking is valid, unless contained in this document between the parties. Orders of 7 or more gift boxes placed online will require an additional fee for delivery sent to them by an invoicing system. Payment via EFT only. GET ON THE LIST AND RECEIVE 10% OFF YOUR NEXT ORDER!